The I/S sauna provides the best of both worlds. 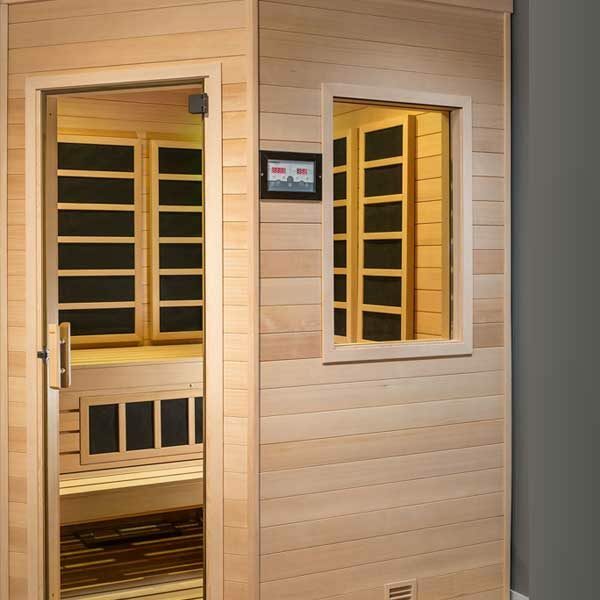 You like traditional sauna but your spouse prefers infrared sauna? No problem. On weekends you like a traditional sauna taken with others–and with lots of steam – but during the work week you like the mild-soothing infrared sauna heat therapy? No problem. The InfraSauna™ by Finnleo® is the ultimate sauna – a blending of our Traditional Finnish Saunas with our CarbonFlex® Infrared Technology. This wonderful combination room provides pleasure beyond what a traditional or infrared sauna can do individually. Finnleo’s CarbonFlex far-infrared heating system can be incorporated into virtually any sauna room design. Let your imagination go. For the first time in the worldwide sauna industry, there are now IR options to give you exactly what you want.